Intellectual property—the term is commonplace in the tech industry, yet rarely is it explained in such a way that gives its readers and hearers a complete understanding of its meaning, historic use, and its overarching purpose. Instead, what is typically heard or read about intellectual property involves a handful of companies constantly suing each other for violating one of the countless patents within their respective stockpiles. What’s more is that such lawsuits, which have begun taking a noticeable toll on the legal system, often involve patents that were obtained through mergers and acquisitions rather than the formal filing process. And as a result of the concentration of so much power and wealth among a few constantly quarrelling companies, the cost of so much as engaging in such a legal battle—let alone losing one—is enough make many a business think twice before opening their doors. Couple such economic and judicial obstructionism with the long-term threat to Internet freedom that the current trend poses, and we are left with a rather bleak depiction of intellectual property. But that isn’t how it’s supposed to be. It is imagination made real. It is the ownership of [a] dream, an idea, an improvement, an emotion that we can touch, see, hear, and feel. It is an asset just like your home, your car, or your bank account. Just like other kinds of property, intellectual property needs to be protected from unauthorized use. 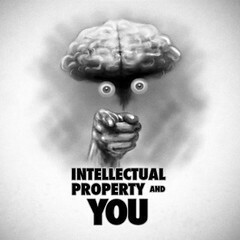 To put it succinctly, intellectual property is just that—the opposite of physical property. It allows one to stake a claim over the “creations of the mind” in very much the same way that one would a piece of land. However, because such property does not occupy physical space the way that any other piece of property would, the creation, transfer and protection of intellectual property gets convoluted in a hurry. Such intangible assets include music, literature, artistic work, inventions, discoveries (medical, etc. ), and even words and phrases. 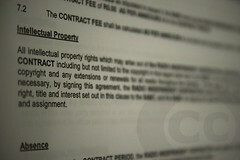 In order to secure the rights to a particular piece of intellectual property to itself, an individual or business entity will typically obtain a copyright, trademark, patent, industrial design rights, or even trade secrets protection. And, of course, selecting the appropriate form of rights protection depends on the category of intellectual property that is being secured (see the USPTO explanation here). Although the term intellectual property is relatively new, the legal protection of the same is hardly a groundbreaking concept. In fact, the protection of intangible assets dates as far back as 500 B.C.E.—according to Bruce Bugbee’s The Genesis of American Patent and Copyright Law—during which time individuals were granted temporary monopolies for certain foods that they made. Obviously, modern institutions surrounding intellectual property have evolved substantially since then. English law—most notably the Statute of Monopolies (original patent law) and the Statute of Anne (original copyright law)—is considered by many to have provided the foundation upon which modern intellectual property policy is built. Although they focused primarily on the protection of the work of authors and inventors who, without legal protection, would have faced financial ruin, out of these two laws flowed the legally enshrined idea that one is inherently entitled to the ownership of what they create. And as the concept and legal scope of intellectual property expanded, the means of claiming rights to that property have also broadened. Copyright protection applies to the creation of tangible works of expression, including software, literature, music, and other works of art. Patents provide a temporary monopoly to the designer or discoverer of a product, plant variety, or utility in exchange for public disclosure. Trademarks grant exclusive rights to names, phrases, logos, and other distinctive symbols. Trade secrets allow business entities to keep certain information—for example, a highly guarded recipe—secret from competitors. Combined with the already abstract nature of intellectual property, however, such expansion has, by many measures, served to frustrate the underlying purpose of legally recognizing rights inherent to society’s inventors and authors. As the World Trade Organization so concisely puts it, the main purpose of providing protection for intellectual property—whether it’s an invention, a work of art, or business process—is “to encourage and reward creative work.” In other words, by legally enshrining certain rights and protections for those who make the initial investment and take a new risk, continued progress is ensured for the economy and society at large. Typically, this could be achieved by granting limited, temporary exclusive rights to said development, allowing the risk-taker to recover the initial investment before competitors can come in and capitalize risk-free on the gains achieved by the original investor. As time has passed, however, such a purpose—meant to achieve a reasonable balance among the interests of rights holders, competitors, and end users—has lost that straightforward quality. Rather than being a tool for innovation, intellectual property has become a popular tool for effecting economic entrenchment, monopoly and stagnation. 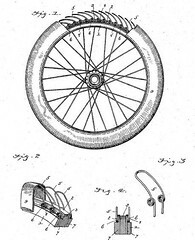 This is perhaps most noticeable in the world of patents. Since 1977, nearly 8 percent of all U.S. patents have gone to just ten powerful companies. This trend has quickly been followed by a drastic upswing in patent litigation, skyrocketing by a disturbing 230 percent in the last two decades alone. As mentioned before, such a departure from the greater purpose of intellectual property rights has created a significant economic barrier for entrepreneurs. The technology industry is no exception. In fact, it’s one of the worst offenders. Were it not for the detrimental cost of being sued by one of these patent-rich firms, which use the infamously broad language of patents to both protect themselves against litigation and target potential competition (a phenomenon known as “defensive patenting”), economic progress would arguably be accelerating exponentially above its current pace. This is both in terms of benefits to the businesses that sell products and society at large, which ultimately purchases and uses said goods. Observing that a person “has a right to use his knife to cut his meat, a fork to hold it,” Thomas Jefferson wondered, “[M]ay a patentee take from him the right to combine their use on the same subject?” While at one time the correct response to Jefferson’s question was obvious, the current policy structure that sanctions the weaponization of intellectual property seems to show that the answer’s not so clear anymore. Ask Slashdot: What If Intellectual Property Expired After Five Years?